30 days ago I asked that we commit to praying only the prayer Yeshua (Jesus) instructed us to pray. Taking nothing away and adding nothing to; but letting the words He instructed and the Spirit “fill in” in words and groans not able to be comprehended by our human perspective according to God the Father’s will. The name and face of someone came to mind. He then said to begin to say the prayer, following His lead. Give (her) the food she needs today. Forgive (“Mary”) the wrongs she has done, as she forgives the wrongs done to her. And lead her not into hard testing, but keep her safe from the evil one. I would often say the name of the one I was praying for instead of her/him as well. What a profound thing this is! Its truly covered everything possible and left it open for the Spirit and Advocate Savior Yeshua to “fill in” what I could not begin to know they need! What a blessing! I would place my hand over Sams heart daily and pray this prayer using our names specifically daily. I found it uncanny how Yeshua instructed us to pray using plural forms such as us, we, our, and those. For in praying this prayer for those around the world with whom I knew not their names but knew served Him and His Kingdom, it becomes profound in praying for all. Here are the scriptures (too many to type out) I was led to in studying this prayer and learning more (the deeper things) about Adonai (the Lord) in it. What struck me profoundly was how the Kingdom of God is a Kingdom of reciprocity. Reciprocity is defined as; the practice of exchanging “things” with others for the mutual benefit. The benefit being the Glory of God, and the exchange?? Not things but forgiveness! This prayer and every word from Yeshua solidifies this as Truth. Forgive as the Father forgives, do unto others as you would have them do unto you, judge not and you will not be judged, as you measure so it will be measured unto you, if you seek you will find, blessed are the merciful for they shall receive mercy, and on and on this theme threads through the Tapestry He wove for us to wrap ourselves into. Flowing down through His Son, Yeshua (Jesus) to His people for the whole of creation to the glory of God. It starts with His glory and ends there. If we “forgive ourselves” first of all “our forgiveness” does not exist for ourselves…no such concept of forgiveness is self absorbed, self motivated, selfish. It simply does not exist. 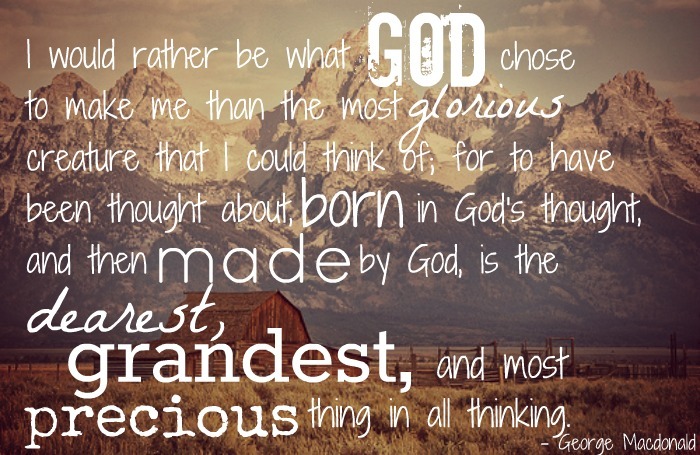 Second the we (ourselves) attempting to do the thing only God can do, then takes the place of God, which is idolatry. I love the way the Complete Jewish Bible translates “hallowed be Thy Name” as most Bibles read. May Your Name be kept Holy…remembering that the whole concept of the word name is character. We are asking that who God is be kept Holy, separate, clean and pure. The word hallowed is often very abstract and hard to understand. What a strange saying “May Your Name be kept Holy in “Mary””. Are you wanting to indicate God blessed Mary and gave her the child Jesus, the long awaited promised prophet and saviour? Or are you one of the (so called) Christians who believe Jesus is God, instead of accepting that Jesus is the son of God, and that Mary would be the “Mother of God”? No, Mary was a name example only, “May Your Name be kept Holy…in me….you…and so on…personalized. I appreciate your comment and question…it startled me. I should have picked a better example Name as Mary is way to distorted connected to prayer. I don’t believe in paying to anyone but Adonai, Yeshua….God, Himself. Nothing in scripture endorses praying to anyone else. You say ” I don’t believe in paying to anyone but Adonai, Yeshua….God, Himself. ” but may we remind you that Yeshua is not the Adonai, Elohim or the God. Yeshua (Jeshua also known as Jesus/Jezus/Chesu) is not God but the son of God. No and No. You can’t remind me, as I have never acknowledged that as the Truth, and never will. Yeshua the Messiah is the Son of God, And God Himself. Read John 1, doesn’t get any clearer than that. I believe He is God and God’s Son, That Yahweh is Father, Son and Ruach HaKodesh, One God in the persons. Jesus (Jeshua) never asked to pray to him, but to pray to his heavenly Father, Who is the Only One True God. That Jesuhua also used plural forms in prayers is because we as one individual are nothing. We should be part of a greater part. We should unite and come together under the name of Christ. Our thoughts should not only be by our self, but be there to be open for all others around us. Thank you Marcus for your words of wisdom! May He make them great within you! Lo, also that we are United first and foremost with the Father, Messiah, and Spirit so also when we pray, we pray United with them… the abundance of the we is as wide as the Universe! If only we understood that when one falls we all fall! And when one is risen from the dead. .. we all arise. The Father has His whole Kingdom in His heart at ALL times! Glory to Him who covers each of us with His Son and all things are therefore covered complete! It’s what He sees that counts, one day our eyes will see it too, when we pray as Yeshua bid us. .. we get glimpses and are changed! 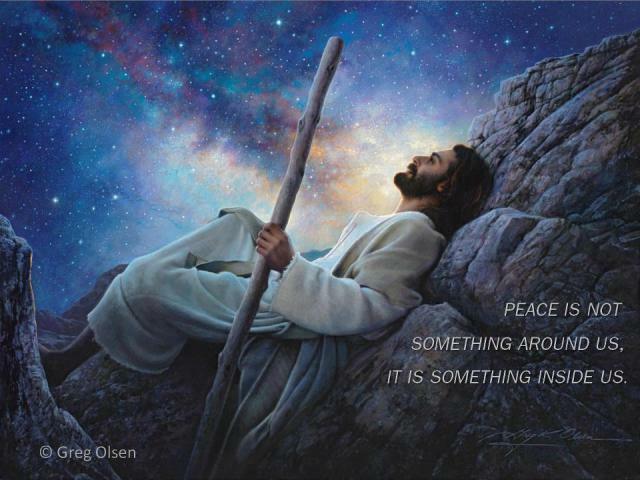 Grace and peace to you as you are United in the Messiah Yeshua, to Him be the glory! the Name who should be holy is only the Name of Jehovah God and not making somebody else holy or worshipping somebody else. In the Bible you shall find enough prayers which Jesus also prayed and which we also should pray. The Lord’s Prayer is not the only one prayer we should say and we can use its words as a base but we should be careful by doing so, not twisting the meaning of it like you do with the first sentence. To be clear…I never said we should ONLY pray this prayer! Good heavens no! I was prompted to ask others to join me as I did ONLY for 30 Days. You are right! Every word Yeshua spoke can be used as prayer!! I am very grateful He prompted me to do this 30 focus! It was a blessing.